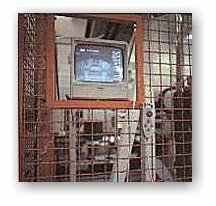 We can supply Vision Systems for inspection, component identification and robot guidance. Vision provides unique flexibility for the most difficult component feeding applications.We as system integrators have the flexibility to utilise what we consider to be the most effective solution. As an independent we can use all market leaders in the field to give our customers a cost and technical advantage, we will always select the correct, cost effective product to engineer the most reliable system for you.